Crime Stoppers Trinidad and Tobago became a registered company with limited liability status on 16th March 1999 and was officially launched on 10th May 1999. 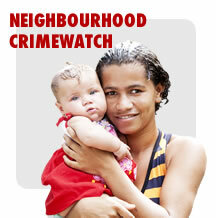 The national Crime Stoppers programme was proposed as a long-term measure in the anti-crime initiative and was accepted by the National Security Council. Our Vision is of a Trinidad and Tobago where the ordinary citizen regains confidence in the nation’s collective ability to combat and rid the country of the scourge of crime. Our Mission is to combat crime by creating the premier, flagship, private sector mechanism through which every citizen of Trinidad and Tobago can participate effectively and successfully. We shall achieve our Mission by creating a unique partnership between the public, police and media that will provide the nation with a sustainable proactive program for citizens to anonymously assist the Police in solving crime, thus contributing to an improved quality of life for all. Click here to learn about Crime Stoppers International.